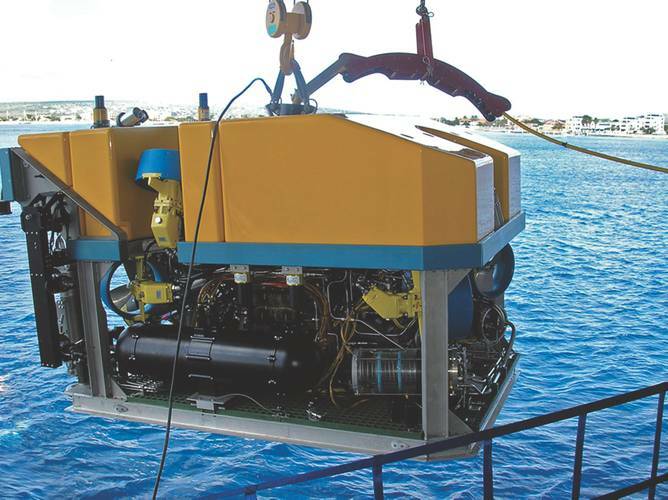 An invaluable resource for the marine industry, remotely operated vehicles (ROVs) perform a multitude of tasks, from pipeline inspection to subsea construction, often equipped with an array of cameras, sonars, sensors, manipulators and other tools to go to work where divers cannot. 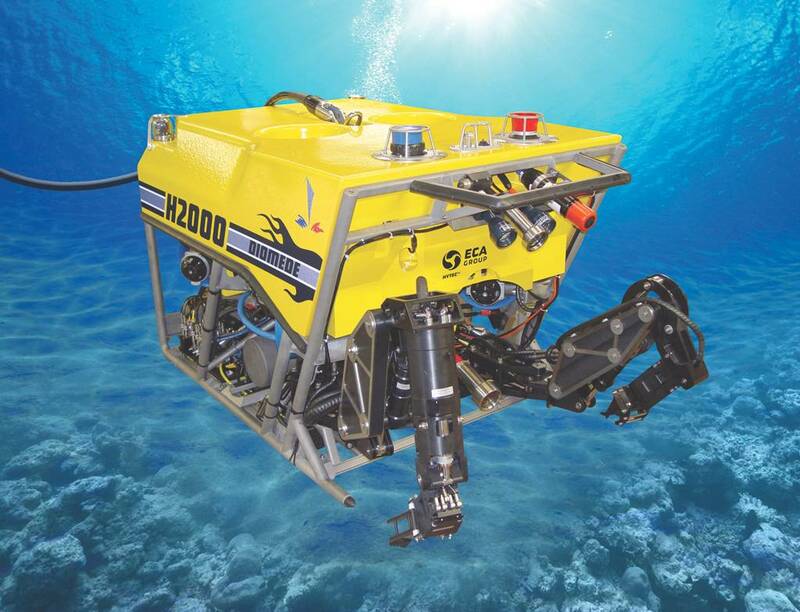 Power and payload, ruggedness and reliability: these are crucial to the heavy class ROVs examined here in part 2 of MTR’s ROV technology series. DOER’s H3000 is a midsize work class ROV. Designed for multimission use from a variety of platforms, the H3000 is well suited to underwater tasks where station keeping, maneuverability and power are key. Typical applications include deep-water survey, sampling, documentary filming, search/recovery/salvage, submersible support/rescue, ocean observatory support, oil/gas/alternative energy support, tunnel and aqueduct inspection. H3000 is rated for 3,000m standard. This versatile, powerful vehicle is designed to take advantage of changing technology to provide years of service and upgradability. DOER’s Ocean Explorer 1,000m is a mid size electric ROV. Its open frame architecture is designed to accommodate various sensor and tools with minimal integration effort. Typical applications include survey, sampling, search/recovery, tunnel/pipeline intervention and inspection. Ocean Explorer is rated for 1,000m standard. DOER’s H6500 is a working class ROV. Designed for multimission use from a variety of platforms, the H6500 can be used for underwater tasks including survey, sampling, search/recovery, NDT and inspection. The ECA Hytec H800 is an 800m depth rated ROV for subsea inspection and light work, offering ease of handling and installation, due to compact size and reasonable weight. It incorporates a high performance viewing system, with both a color/zoom TV camera (mounted on a full pan/tilt unit) and a B/W very low light TV camera. The single, ergonomic hand controller operates both the ROV and a five functions manipulator arm and the control unit incorporates the power supply unit, and offers a PC screen with either video only, or the combination of video, sonar display and digital still control. Perry XLX-C work class vehicle has a depth rating of 3,000 (4,000) msw with 150 hp power. The control system has GHz Optical Link, Ethernet telemetry and graphical diagnostics. The vehicle has dynamic positioning with a payload of 200kg. 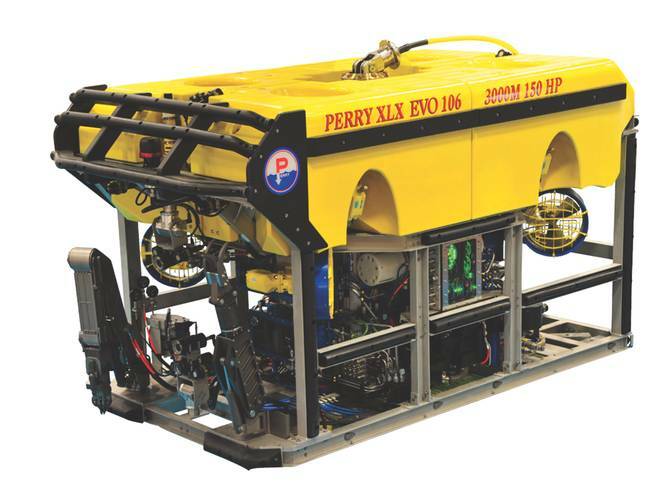 The Perry XLX Evo ROV represents the latest evolution of the Perry XL series. The XLX Evo features enhanced performance across the full range of demanding intervention and survey tasks. The Perry XLX Evo offers extensively reconfigured vehicle control system components. The user power supply system has also been re-designed to eliminate the need for a one atmospheric control can and to allow ease of configuration. The Perry XLX Evo also features an enhanced and fully integrated survey system with interfaces compatible with all modern survey equipment, including sub bottom profilers, multi-beam sonars, etc. Saab Seaeye has a number of vehicles in all classes. The Cougar Compact is the deepwater version of the compact, highly flexible and extremely powerful Cougar-XT. With all the benefits of the XT and the full range of optional quick-change tool skids, the Cougar-XTi also features a new concept in power distribution, self-diagnostics and a newly designed modular control system. The panther XT is a development of the successful Seaeye Panther Plus ROV, which was developed in partnership with ROVTECH whose requirements were to minimize the system’s weight and deck space requirements, while increasing the thrust and performance envelope to allow operations in the most demanding conditions encountered during IRM operations. The Sabertooth is a merger of the Double Eagle SAROV (Saab Autonomous Remotely Operated Vehicles) and Saab Seaeye technologies, resulting in a hovering hybrid AUV/ROV with deep water capability, long excursion range and six degrees of freedom control system. 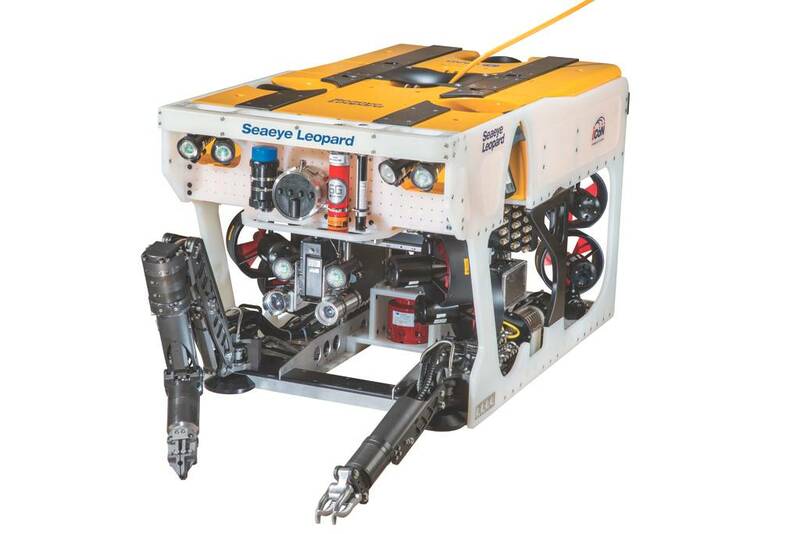 The 2,000/3,000m Seaeye Leopard is a powerful electric work class ROV in a compact chassis, producing a half metric ton of forward thrust, with 50% more payload, three times the tooling power and double the depth rating of its predecessor the Panther XT-Plus, while maintaining the same deck footprint. The Leopard is suited to work tasks including drill support, pipeline survey, exploration, salvage, cleaning and deep water IRM. Saipem’s new Innovator 2.0 ROV is a heavy work class vehicle used for oil field maintenance and construction, including in ultradeep waters, and for monitoring the seabed and gathering data to design of oil fields or subsea pipelines. Its electrical motor can provide 210Hp which, ensuring a bollard pull of 1,100 kg in each direction, a maximum speed of 3.5 knots and the ability to lift a weight of over 600 kg hooked to the frame. The ROV’s umbilical cable and tether have been redesigned to transmit the ship’s onboard power to the subsea vehicles. Innovator 2.0 is equipped with a 6,600V power supply which allows the ROV to operate effectively even with cable lengths over 7,000 m. The ROV has obtained a declaration of compliance with Norsok U102 standards, as well as DNV-GL certification. Soil Machine Dynamics Ltd (SMD) is organized across a number of key business streams including work class ROVs, subsea trenching, submerged mining and marine renewables. The company was originally founded in 1971 and has served a number of market segments including oil and gas, telecommunications, military, scientific and mining. 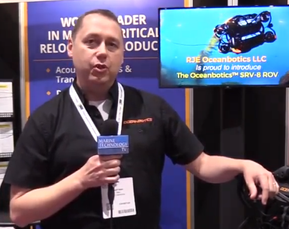 In 2003 they acquired Hydrovision and entered the work class ROV market. SMD’s ATOM ROV is an ultra compact work class system. It is suitable for drill support, survey and light construction, and can be mobilized with minimal deck space. They have several offices including in Europe, the U.S. and Singapore. Oceaneering is a global oilfield provider of engineered services and products primarily to the offshore oil and gas industry, with a focus on deepwater applications. Through the use of its applied technology expertise, Oceaneering also serves the defense, entertainment and aerospace industries. 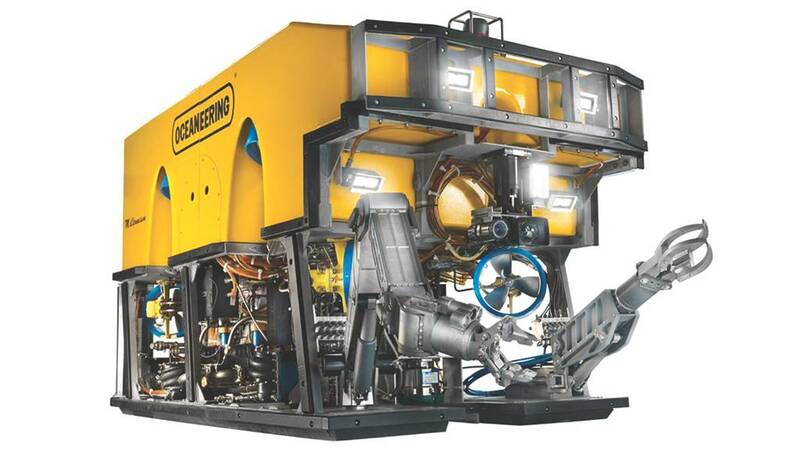 Oceaneering’s business offerings include remotely operated vehicles, built-to-order specialty subsea hardware, deepwater intervention and manned diving services, nondestructive testing and inspection and engineering and project management. The company has several work class systems including the Millennium series. 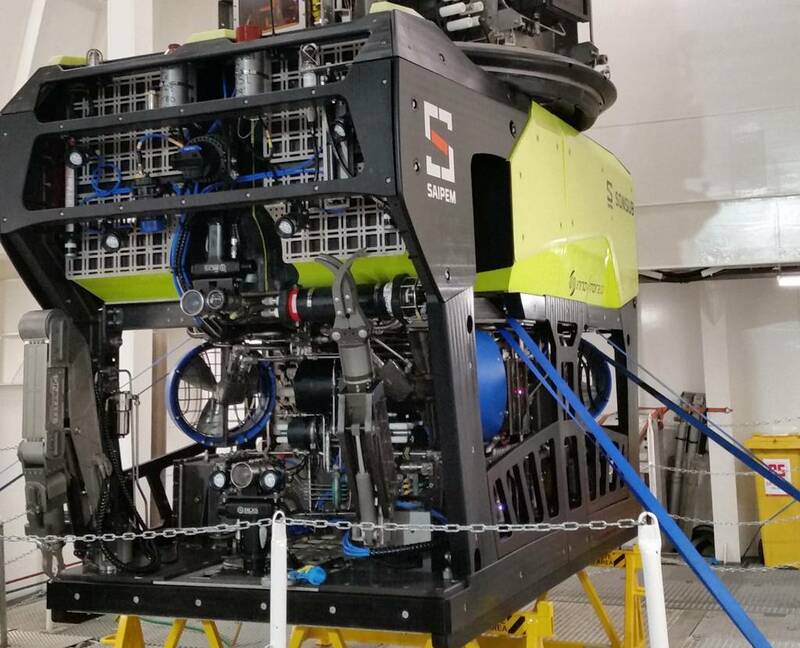 The MILLENNIUM Plus ROV is a side entry cage deployed, dual manipulator 220hp heavy work class ROV. The cage and Tether Management System (TMS) supplies an additional 110hp, is capable of powering skids and also has thruster control and auto heading features.